The kids have already celebrated Christmas twice. My parents were in town a few weeks ago and we did Christmas then. Steve's parents will be in Denver for Christmas so we celebrated early with them also. All I can say is SPOILED kids! I had so much fun on Saturday throwing a shower for Heather. I am so happy it is her turn. I hope she soaks up every moment because all the wedding celebrations go by so fast! 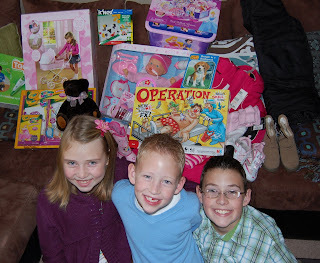 Several years ago my mom's family decided the gift giving was getting out of control. So instead of presents we do service. This year our family adopted a little girl through The Children's Justice Center. The CJC helps 1500 abused and neglected children every year. It was such a special thing to get the kids involved. They were trully touched. We involved several of our friends and my in-laws to make sure this little girl would get everything she needed and more. The kids had their Christmas program and last day at Meadow Elementary. They are excited to start at Daybreak Elementary in January!!! 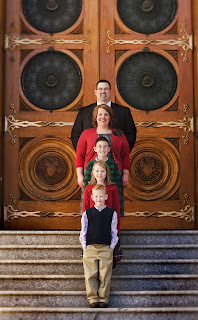 On Saturday our friends Heather and Matt invited us to go to the MoTab concert with them. It was so good! 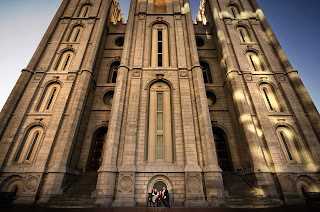 We walked around temple square after the show...IT WAS FREEZING!! Alexa had her winter dance performance on Friday! She did GREAT! These little feeties all wrapped up in her pink ballet slippers are my favorite! 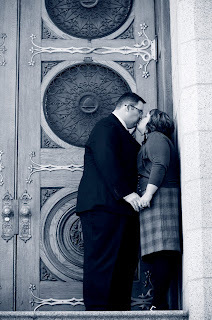 Steve and I were sealed on December 6th in the Salt Lake Temple. We had to take a bit of a different route to the temple due to Steve being married before. We have had such a special year as we have worked towards our special day. I couldn't think of any other person I would want as my side kick FOREVER! We took advantage of the day and had a family photo shoot. These pictures are from the first time I hung out with Steve's kids. It was July 2006. It was love at first sight. It was meant to be! Since this outing at the Bee's game they have become MY KIDS. 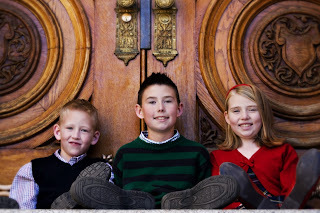 I fight for them every day...I fight for them spiritually, morally, emotionally, and physically. Every thing Steve and I do has their best interest in mind. For the past year we have been fighting our own personal war for them. 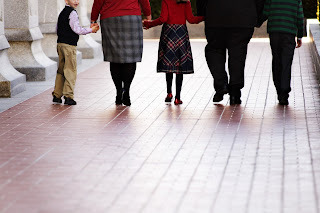 We have told few people about our struggle to gain primary custody of the kids. It has been a fight that we felt STRONGLY about. Just in the past few weeks we have had some amazing things happens....blessings! We are excited to say all the paper work was signed today and we now have primary custody of the kids. We in no way want to take their mother out of their lives. Steve, me and the kids mom have had multiple meetings and she has admitted our home is a better place for them. 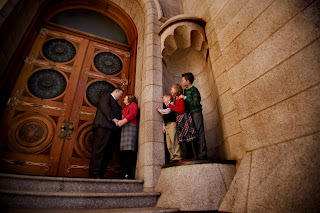 We know with us they will have all they need spiritually and temporally. WE ARE BLESSED!